The Point of Sale (POS) in a retail store is the focal point of all of your business. After all, your marketing efforts and product development have been done to bring you up to the point of the sale. A modern POS is much more than a cash register. 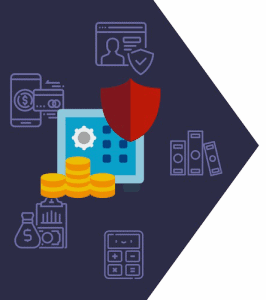 It will enable you to accept credit cards (and be in full PCI compliance), track your sales, issue gift cards, provide a central time clock for your employees, and manage your customers’ purchase histories, for starters. Many POS systems will also offer essential inventory control features. Through the “back office” dashboard of your POS, you will be able to place orders when your inventory runs low, and with matrix inventory capabilities, you’ll be able to see how many products you have in every size, color, and variation. But this is just the beginning of all the essential features that every retail store needs. Choosing the right POS for your business can be overwhelming, but don’t worry – we’re here to help. Lightspeed Retail is a one-stop-shop commerce platform for medium and large businesses. While it may not be the cheapest solution on the market, you generally get what you pay for. In this case, you get a lot. Lightspeed Retail has an expansive feature set, as well as an in-house eCommerce platform. Your POS and your online storefront are always synced – no need to manage two systems. These days, it’s practically mandatory for POS systems to have loyalty programs and basic CRM functionality. Having a great product might get an initial sale, but having great relationships with your customers will get repeat sales. The iPad hardware bundle includes a LAN receipt printer, cash drawer, A Bluetooth scanner, the Lightspeed iPad stand, and a receipt printer. The desktop hardware bundle includes the above, plus a USB receipt printer and a USB scanner. Lightspeed’s rates are pretty standard, often just a smidgeon lower than their competitors. “Analytics” isn’t just a trendy corporate buzzword. Knowledge is power, perhaps nowhere more so than in business. Get insights into any detail you need in order to run your operation more intelligently. Catering to the food industries, restaurants and bars can make use of customer kiosks, which are like mini POSs where your customers can place their own orders, settle the bill, and add whatever gratuity percentage they choose. All without mental math. There are a lot of excellent accounting software vendors out there these days. But when yours is built in to your system, there are no seams where data can be lost. Lightspeed Retail boasts an impressive array of available integrations. In the unlikely event that Lightspeed didn’t already meet your needs with its built-in features, it will in only a few clicks. Half that of their competitors, Lightspeed offers a 14-day free trial. Still, this should be enough for most users, without dedicating too much time away from their existing duties. After this trial period, the pricing for the retail setup starts at $99/mo for 1 register and up to 5 employee accesses. While Customer Service commentators are usually disgruntled from the get-go, it’s rare for any CS department to have good reviews. However, Lightspeed’s reputation is higher than most. It offers several services for free (with paid plans): free one-on-one onboarding session, online instructional videos, and unlimited 24/7 support. Lightspeed Retail is probably not the best solution for first-timers, part-timers, weekenders, bootstrappers, or hobbyists. There’s a lower threshold where other POS vendors make more sense. Vend is aimed at retailers who want to add new storefronts without adding new headaches. No one ever said “I want a successful business, but not too successful.” When you’re ready for your second, or third, or twelfth Grand Opening, Vend won’t say no. Vend plays nicely with other software services. If you like its list of features, but there’s that one must-have for your business that you can’t see to find, Vend probably has an API integration for it. Businesses don’t grow in the dark. with advanced reporting, you can drill down into any detail of your operation to get the insights you need. ALL the payments. Vend provides support for discounts, line item notes, bundles, variants, returns, refunds, store credit, layaway, gift cards, NFC transactions, and split payments. You can’t sell what you don’t have. And being short-stocked can discourage repeat business. But with automated stock orders, your best sellers will always be on the shelf. Vend also shakes hands with completely separate systems, as well. If your business got its start online (for example) Vend can easily import and sync all of your inventory, sales, and customer records. Connect with the most popular eCommerce shopping carts like Shopify and Woocommerce. Yes, even your receipts can be a branding position. Add your logo or a custom message to your receipts to stand out at every opportunity. Vend works online, and syncs automatically after an internet outage. Vend has software clients for iPad, Mac, and PC, all of which tie in seamlessly with whatever hardware you need. Choose from several hardware packages for your new store, or choose hardware a la carte for more specific needs. As stated, Vend is aimed at retailers with multiple storefronts. But since business is increasingly done on mobile devices, Vend will also connect with your online storefronts. Vend offers a free 30-day trial of is software. After that, options $99/mo for the Lite version, geared for one store, and $129/mo for the Pro version, geared for 1 to 6 stores. Enterprise plans are also available. Vend provides the usual plethora of onboarding, FAQ, and self-help options, including email, live chat, a Knowledge Base, and Vend University, as well as a more personal touch from Professional Services experts (for an added fee). Vend is a little shy on some of the advanced features offered by the industry leaders. In the unlikely event that you need “crisis management” customer service, priority support will cost you. Shopkeep is an easy choice for most small, single-shingle retail stores. The ability to customize your register makes it a bit of a chameleon, blending in to the exact workflow your business requires. Shopkeep isn’t just a point of sale; it is also a hub for your staff’s daily tasks. Your employees can manage their time clock, and you can track their performance, all without switching systems. Each user can have unique permissions for their login, such as the ability to offer discounts or to authorize returns. Shopkeep’s marketing hook for this heading is “combines genius software with reliable hardware.” Pretty effective positioning. The reality, though, might be short of that promise. As of the date of this article, the “Create my custom quote” link on their software page is non-operative, and I couldn’t find a lot of specifics or specifications on their site. Shopkeep enables you to manage most aspects of your inventory, such as S&R, adjustments, raw goods tracker, and bulk management. Do you sell items by weight? Do you offer bulk discounts? What about customized add-ons, like laser engraving? Do your customers need to make down payments, or layaway payments? ShopKeep is ready to make these adjustments. With your brand visible on everything the customer touches, you won’t waste any opportunity to build recognition and reputation. With a few key CRM features, your ability to upsell will get a boost. Identify your MVCs (most valuable customers), and even track the way your customers interact with your receipts. Shopkeep partners with BigCommerce for eCommerce functionality, MailChimp for email marketing, and Quickbooks for some accounting features. Beyond that, though, extra API integrations are limited. Shopkeep recently updated to a somewhat innovative pricing model. Instead of a flat, predictable fee every month, it is now far more tailored to the user. Obtaining a quote for your specific business is fairly simple, and prices are reported to be roughly in line with the standards rates from its nearest competitors. Shopkeep customer support reps are reportedly top-notch. Submit a web ticket, and someone will be in touch before long. Self-help options are a bit less robust than some competitors, offering only a FAQ, troubleshooter guide, and a few key articles on common topics. What Shopkeep does, it does very well. But there are a few notable feature gaps. If you’re thinking you can just add that key functionality with a few API integrations, you might want to take a look at their rather short list of available plugins. Square is arguably the industry standard, but not necessarily the best option for everyone. Square has offered some of the most reliable and most stylish hardware since nearly its beginning. In fact, “Square” is nearly synonymous with said hardware in the mind of many early adopters. Choose from starter bundles for a variety of business types, or hand-select just the pieces you need. While it’s not the equal of most Warehouse Management Systems, the inventory control offered by Square will allow you to do just about every common task, right from the dashboard. Square makes it easy to track purchase histories, see buying trends, and send digital receipts through its integrated Customer Directory. Send professional invoices from your browser dashboard, or even your phone, with just a few clicks. For an additional fee, you can craft email marketing campaigns or social media campaigns, right from within Square. Are you in the service industry? Most POS systems are geared toward retail, but Square doesn’t sell you short. As of the date of this article, many of the services you need are free for individuals and are scalable as your business grows. Square is… free? Free-ish. Many competitors offer less, and charge much more. The basic POS app is indeed free, but you’ll keep them in business through transaction fees. The exact fees you’ll encounter vary by the hardware you use, and are as follows: 2.5% + 10¢ for Square Register, 2.6% + 10¢ for Square Terminal, and 2.75% for Square Readers and Stand. Square offers the common self-help options, including a forum, Knowledge Base, videos, and articles. 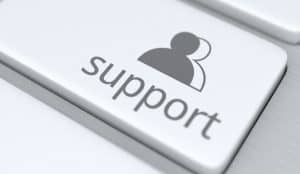 If you need more intensive support, the email ticket method is best for less-urgent issues, and reps are generally reported to be friendly and exceedingly knowledgeable. There is also personal support by phone, during normal business hours. Reports on Square’s customer service vary widely, which is to be expected with such a well-established user base. The most common complaint is over merchant funds commonly being held, which is a deal-breaker for some small businesses. Clover has a bit of a different perspective on the POS industry. While some vendors keep adding more and more functionality, Clover’s software is largely outsourced to an App Marketplace. In stark contrast, its hardware is entirely proprietary. Conceptually, we understand the logic; open-source software is some of the best, because it’s easily iterative by the most dedicated software engineers around the world, while hardware needs to be static, reliable, and more tightly controlled. Clover connects with a ton of well-established third-party apps. Top names include MailChimp, Yelp, Xero, DocuSign, and Quickbooks. Each user can access their own time clock, and managers can customize permissions associated with each employee’s login. Sales stats for their entire team can also be viewed at a glance. Customers can discreetly set their own tip percentage, and tips can be pooled for equal distribution, or allocated to the specific employee serving the customer. For salespeople, custom commissions rules can also be set. Clover’s reporting tools can track your best-selling products, your employee’s performance metrics, refund and discount volume, and even a breakdown of the busiest (and most profitable) time of day for your store. With built-in CRM tools, you can engage prospective customers or entice existing ones to come back for a visit. You can also gather invaluable customer feedback, and possibly move to correct any issues, before you get negative reviews. Prices for a complete Clover setup can vary, depending on the banking institution you partner with. Check with your local business bankers to see if they offer Clover Station and ask about the transaction rates and hardware bundles they offer. Generally, the hardware will cost you between $1000 and $1200 for one terminal. The software subscriptions are currently $14/mo for the lite version, and $29/mo for the full version, plus applicable transaction fees. Getting the assistance you need for Clover Station can be tricky. Do you call your merchant account provider, or First Data (Clover’s parent company)? With the many apps you’re likely to spring for, how can you be sure which one is causing problems? Starting up is not a small matter. With propriety hardware, your budget will take a hit before you can even take the system for a trial run. Coupled with the many extra steps to secure the best price from your local merchant account providers, starting out with Clover for the first time is a full-time job. After that, though, onboarding gets much easier. Revel is an ultra-savvy POS and requires a commensurately savvy business owner to tackle it. If that’s you, then get ready for one of the top POS alternatives to Shopify. The Revel POS iPad app can pair with a second, customer-facing screen. This rare feature can be used to ensure order accuracy, for easy input of customer data, or to enter discreet tip amounts. 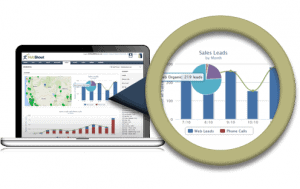 More than just a data aggregator, the reporting features allow you to track your inventory, reordering, sales, top selling products, and most profitable times of day, all from one dashboard. Revel Systems integrates with a slew of top-notch third-party providers. Get plugins to bolster your accounting, eCommerce, payment gateways, employee management, and a whole lot more. Create custom rewards programs that are perfectly suited to your business, your customers, and your products. Revel allows you to track time clocks (including overtime), assign tasks, manage schedules, and set individual permissions – right from the dashboard. Revel knows that each type of business requires its own inventory tracking. Restaurants need ingredient trackers, and clothiers need matrix inventories. While Revel may be a better fit for mid-sized businesses, any type of business can appreciate its array of features. Revel does not leave anyone out; less-common features come standard, like table management for restaurants and delivery management for door-to-door service. The pricing for Revel is customized to the user’s specific industry and sales volume. Prices are reportedly higher than average, but then again, Revel offers higher than average functionality. The customer support options offered by Revel are fairly impressive, with a few unheard-of perks. There are onboarding and troubleshooting videos, articles, and FAQ, but the level of personal attention offered by Revel puts them a cut above most other vendors. Choose from email, phone, web ticket, remote assistance, and even on-site assistance. Some of these methods will incur an additional fee. As stated, Revel is not for the faint of heart. Initial setup and onboarding can be a bit of a beast. But while it might not be “best in class” off the starting line, its top speed certainly is. Shopify got its start in the eCommerce space and earned a solid reputation there for its Shopping Cart software. It was a small leap to bring this expertise over to the brick-and-mortar side of sales. Its borrowed reputation does not disappoint. Since Shopify is no stranger to the commerce game, their usual array of payment options carries over to their POS. Split payments, split tenders, custom payment types, gift cards, and store credit are all enabled. Custom payments, line items, hardware, receipts, order notes, discount rules, reports, shopping options (online with discounted shipping, in-person pickup, returns, and exchanges… you get the picture. Shopify can utilize a wide range of hardware and includes some rarer options that you won’t find with most other POS systems. Among those options are an integrated WiFi camera for store security, and free shipping and 30-day returns on all hardware. While not the most advanced reporting capabilities in comparison with the competition, Shopify’s reporting and analytic tools are enough for most small businesses (and some mid-sized ones). Like most newer POS releases, Shopify can maintain a database of your clients, their shopping history, promotion responsiveness, and contact information, all of which can streamline your sales if properly monitored. A strangely disproportionate number of e-tailers are selling clothing – partcularly t-shirts. As a result, Shopify has thoroughly answered the feature requests from clothing retailers. Its matrix inventory systems, custom collections, and organization filters are top-notch. Shopify has several affordable tiers of service, each with its own features and commensurate pricing. Prices start from a mere $9/mo and have several tiers all the way up to $299/mo. Credit card rates range from 2.7% + 0¢ to 2.4% + 0¢, depending on your plan and sales volume. Each plan can be tested for free for 14 days. Shopify reps can be reached 24/7 by live chat, email, and phone. Self-help options are better than most, which include forums, FAQ, user guides, tutorials, and even an eCommerce University. There aren’t a lot of accounting features available for Shopify. The only mentions of it on their site are integrations with various accounting providers, like Quickbooks and Xero. Some people just need to have it their own way. Retail Pro gets it. That’s why their value proposition is on customization. Retail Pro is a trusted POS for many brands which have carefully crafted their identity, such as Oakley and Calvin Klein. Praise for Retail Pro is almost always headlined by its deep customization options, from the POS screen to the inventory labels and custom fields. With every sale or return, the inventory levels reported for your store will be updated on the fly. You won’t have to wait until the end of he day to see exact stock levels or sales volume. Retail Pro has a suite of features to serve both all levels of employees. Cashiers and salespeople can utilize the time clock (and managers can track absences and tardies), and employee performance and commission goals can be monitored. One of the notable differences between this POS and most others is its focus on globalization. Retail Pro comes preloaded with 18 languages and supports almost any currency. Exchange rates and inter-national tax rates are also automatically calculated. Retail Pro can fully integrate with online marketplaces like Amazon and eBay. Your inventory levels and sales data all remain synced, too. Easily manage gift cards, store credit, and gift certificates – support for each individual location or every location throughout a chain. There are three versions to Retail Pro: the Small Business edition, Chain edition, and the Global edition. While pricing info is very difficult to nail down for either version, most reports generally indicate that the price point leaves something to be desired.The lack of pricing transparency and the service subscription tiers are both extremely uncommon in the industry. The subscription tiers do offer the entire suite of features, with the only difference between them being the local vs global positioning. This “feature generosity” may be the reason for the pricing obscurity. Keep in mind that most people won’t use ALL the features for their plan, but they will pay the same as one who does. Customer service for Retail Pro is generally positive, starting with over 800 high-quality training videos. There are many reports from existing users stating that the software is very slow, and equally slow to receive updates. many users also bemoan a lackluster reporting feature. One of the newer players in the POS scene, Epos Now is an impressive release from the UK. It focuses on being a “whole package” solution, with an emphasis on scalability. Epos Now is a one stop shop for entrepreneurs and small business owners to get their hardware systems in place with a minimal amount of fuss. The Epos hardware setup is one of the biggest draws for the company. The hardware is professional grade, including solid state drives, hydrophobic touch screen, and modern CPU – all with countertop retail in mind. The POS display has a card reader and customer display built in and can sit atop an all-metal cash drawer. Though they may position themselves as a complete solution, that doesn’t mean they do everything. A lot of essential software services are not strictly POS-specific, but they do need to be linked. The Epos team allows an open API, so you can connect virtually any extras that your business needs. The Epos team claims they will help you migrate from any system over to the Epos Now Platform, including all of the data for your products, inventory, and even customer profiles. The dashboard can be accessed from a desktop PC, or from any mobile device. Store owners won’t be in the dark when out of the office. More than a mobile reporting screen, almost all office functions can be performed on the go. Easily import customer information to create custom-tailored marketing email, track purchases, manage store credit, and much more. Epos Now offers a generous 30-day “try before you buy” policy. Plans start from $39/mo and increase with additional features, additional support, and additional registers. Enterprise plans are available, with custom price quotes provided by a specialist. Self-help support includes web ticket, built-in “getting started” guide, FAQ, and general tech support by phone or email. Personalized support costs extra, at a minimum of $39/mo. Users can upgrade to Premium support for $54/mo, which includes 24/7 phone support. The US-side of Epos Now is struggling to catch up to the quality of customer service provided by its UK-based headquarters. Last, but not least, on our list is Springboard Retail. Springboard positions itself toward medium-sized businesses which are poised for growth and is therefore feature-rich and commensurately pricey. Springboard allows you to manage several retail locations easily, including reports on sales, inventory, and staff. Or, you can easily drill down to view the details of any individual location. Easily set up your system to handle gift cards, sales, coupons, and segmented marketing through its CRM functions. Springboard Retail partners with POS Portal for its hardware bundles, for those who want a comprehensive upgrade. 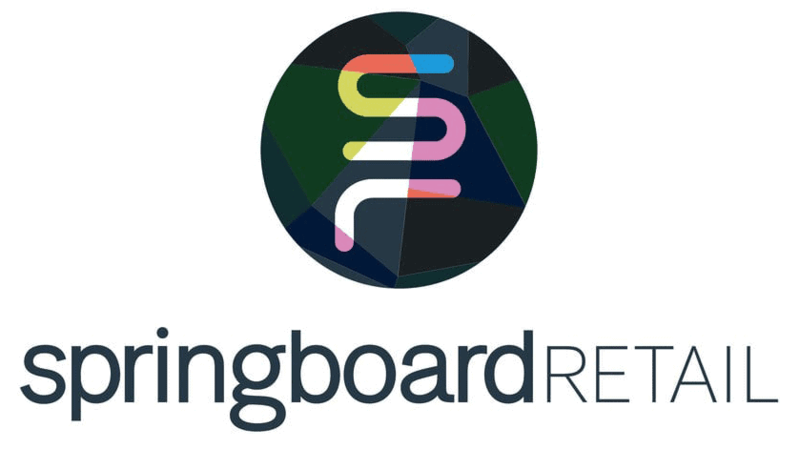 For everyone else, Springboard prides itself on being “hardware agnostic,” meaning that it will work seamlessly on any web-enabled device, from Macs to PCs to tablets. As a POS serving larger businesses, the inventory features offered by Springboard are a bit more robust than most of the competition. Each product can be set with a custom reorder point, for example, and this threshold can be unique for every store location. 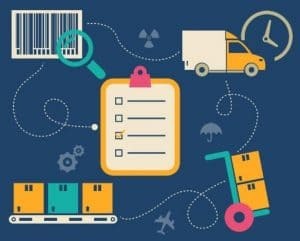 While not a full-fledged WMS, Springboard does offer a few nice features for managing your warehouse operations. Inventory transfers, bin locations, and inventory tracking are all included. There are three pricing/feature tiers for Springboard Retail. With each upgrade, you get better support, an increase is customization options, and upgraded features (like automation). Prices start from $99/mo for the “Plus” plan, $139/mo for the “Professional” plan, and Springboard offers custom pricing for Enterprise-sized operations. The levels of customer service differ by the pricing tier you subscribe to. Every subscription level has access to a reasonable volume of articles, for most troubleshooting and training issues. There is also a live chat option found on the homepage of their website, which may be sufficient for quick answers. For more personalized assistance, phone support becomes available with the Professional plan an above. Springboard has a few notable feature gaps, including the lack of any real loyalty program. It is also geared very specifically for retail, rather than for foodservice or other service-centric businesses. Its price is also prohibitive, especially for smaller businesses. Finally, the API options are far more limited for integration of additional software. An in-line breakdown of all the best POS players is incredibly useful. But if you’re in the market for an upgrade or a switch, it’s easy to get overwhelmed. To help you find the POS that best suits your business, here’s an overview of the features available in a POS. Not every system will have every feature. The primary function of a POS is to enable to you accept payment for your goods and services. This includes managing cash, checks, credit cards (magnetic strip and chips), NFC methods like Apple Pay, and gift cards. View the sales you made in a given day, week, or any specified time frame. See which items are selling most or least well. A POS will also enable you to track returns and exchanges. A POS with Customer Relationship Management (CRM) features will enable you to easily see your customers’ purchase histories, which will make returns and exchanges much easier. These features will also enable you to craft more fine-tuned promotional campaigns. In addition to a way to scan credit cards, POS systems often include cash drawers, barcode scanners, receipt printers, label makers, and of course the screen interface itself. 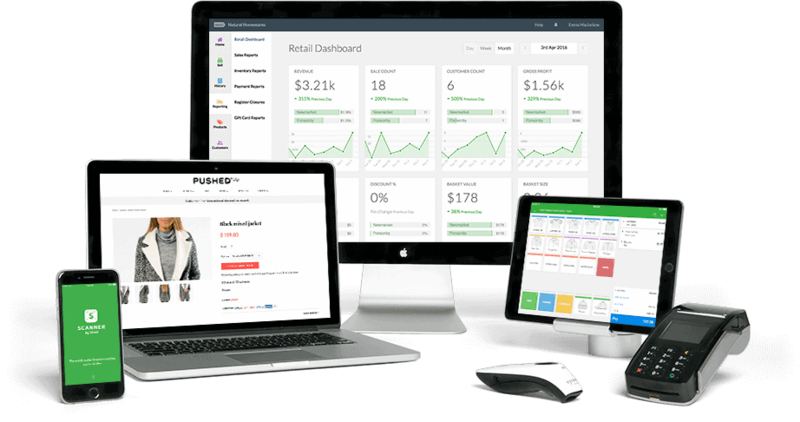 While most marketing is not done from the POS terminal, POS software also has a “back office” dashboard mode where managers and marketing professionals can use the sales and customer data collected by the system to craft strategic sales and marketing campaigns. This is also where the rules and rewards for loyalty programs can be set up. There are a lot of software vendors out there provided software services which are related to POS systems, but rarely integrated natively. Your POS system can be connected to these additional features through an API connection. Right at your terminal, where your sales floor staff will generally stay, there are many features for making your employees’ workflows more streamlined. They will be able to clock in, and access only those POS functions which are enabled for their unique login. 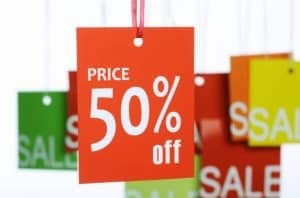 When you make sales, a critical function of a retail POS system is to automatically adjust your computerized inventory levels. You will always be able to see exactly what has been sold, and how many you have left in stock. Some systems will also automatically reorder new stock when your inventory drops to a set lower threshold. Retail stores do not thrive in the dark. The more light you can shed on your operations, the better they will run. With advanced reporting and analytic capabilities, you will be able to get detailed information on virtually any aspect of your in-store operations. Software providers like Quickbooks are household names. A POS system will not entirely replace those mainstays but will keep your books on track day to day. Many systems integrate into your full-fledged accounting software, while others will simply enable you to make informed decisions based on routine accounting operations. Part of operating a retail store is making is as easy as possible for your customers to make purchases. To that end, POS systems often come with the hardware and software required to create labels that reflect your brand, and scanners to ring up bar codes on your products. Nearly every software vendor out there serves two functions: providing you the product (the software itself) and providing you the service (the technical support to train your staff and troubleshoot problems as they arise). If your customers are ready to purchase but your system goes down, you’ll likely lose not only that sale, but any repeat business that customer may have represented. It is important that you’re able to get in touch with the technical support you need, when you need it, to resolve any issues as quickly as possible. As mentioned above, the retail POS system you choose will have to be customized for your operation. As a retail manager or business owner, you’ll want a system that’s packed with features such as inventory management, gift cards, customer loyalty, purchase history, and more. Now that you’re fully equipped to do some serious system shopping, check out our more comprehensive reviews on each POS system that made your short list.